bailout fund, to directly recapitalise ailing banks. This is likely to be an important element of any ‘solution’ to the eurozone crisis, especially since it will probably be incorporated into the plans for a eurozone banking union and single bank resolution fund. €60bn limit: ESM funds available for direct bank recaps will be limited to €60bn out of the total €500bn, since this method of funding eats up the capital of the ESM more quickly. Given the size of the eurozone banking sector – around €34 trillion or 360% of eurozone GDP – this seems far from sufficient. Burden sharing: National governments will have to contribute 20% of the funds for the first two years and 10% thereafter. Furthermore, ESM funds can only be injected once the bank has reached a core tier one capital buffer of 4.5% – any recapitalisation to achieve this minimum level will also fall on national governments. This is a logical compromise, but it means that the link between sovereigns and banks is not completely broken. It is only “diluted” (as EU Economic and Monetary Affairs Commissioner Olli Rehn put it). Combined with the above funding limit, this places some tight constraints on the level of capital injection possible. Strict conditions: The funds can only be used for banks which are deemed ‘saveable’ and have no other alternative. These banks must also be systemically important (in the relevant member state at least). It must also be impossible for the member state to bailout the bank on its own without harming its fiscal sustainability. There must also be independent stress tests performed ahead of any ESM contribution. Any contribution will come with strict conditions both on the bank and possibly on the member state. Bail-ins: The agreement states that “sufficient contributions from existing shareholders and creditors of the beneficiary institution”will need to be explored. This suggests that the final agreement on the Bank Recovery and Resolution Directive will play an important role in determining how and when this fund is tapped. The emphasis on bail-ins is of course positive but until related plans are settled uncertainty will remain. 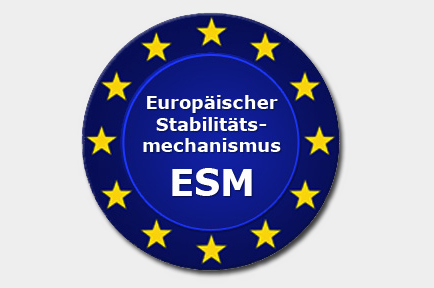 Final liability: A subsidiary of the ESM will be set up to directly purchase equity in ailing banks. 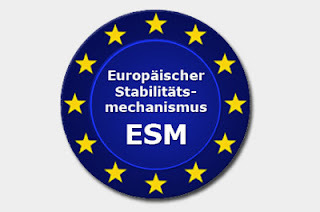 This allows final liability for the rescue programme to rest with the ESM rather than states. Retroactive use (legacy assets): The funds can be used to retroactively takeover the burden of previous bank bailouts, although this will be decided on a case-by-case basis. German Finance Minister Wolfgang Schäuble described this as “a concession to our Irish friends”. This gives hope to Ireland that the cost of its bank bailout can be shifted. However, given the above limits and the conditions, this still seems a distant prospect. At first look then, it is positive that an agreement has been reached but this looks to be a stopgap at best. It is clearly tightly constrained by the limits on lending but also by the conditions – in particular the need for a strict independent stress test which could eat up precious time in a crisis. The hurdles to retroactive use are also significant – there is far from sufficient funds to cover for the Irish, Spanish and Greek bank bail-outs (up to €125bn in total), while opening a country’s economy to further oversight is far from desirable. To be fair, given how tied in this is with the single bank resolution mechanism, banking union and the Bank Recovery and Resolution Directive, it may be too early to fully assess how effective it might be. It’s also worth noting that the plan will likely need approval from some national parliaments, notably the Bundestag (H/T Bruegel). The most conerning point is probably that if this is a precursor to the eurozone’s single resolution mechanism, it is likely to fall short of fully breaking the dangerous sovereign banking loop in the eurozone.